Nike is getting creative with some of their new releases this year. 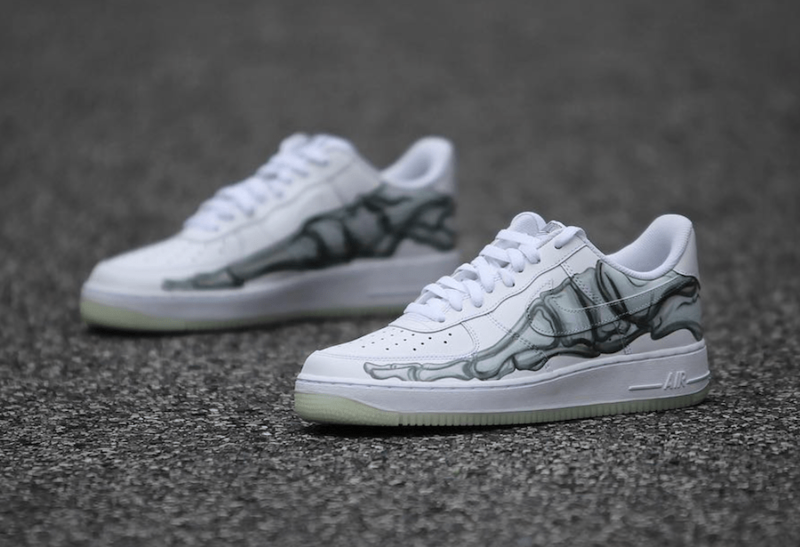 The most recent leak shows the Swoosh’s classic Air Force 1 in Quickstrike form with a new skeleton theme. Little is known about the shoes, but they are expected this Fall. The Nike Air Force 1 has seen its fair share of interesting new builds and colorways. With last year’s military-inspired SF-AF1 still making waves, the Swoosh is back to the drawing board with the standard Nike Air Force 1. 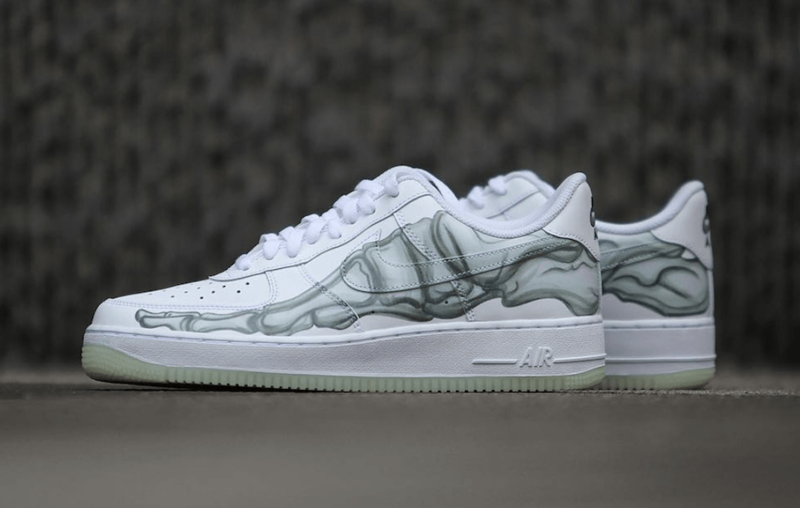 The Nike Air Force 1 QS “Skeleton” is the most unique look for the silhouette in a while. The limited edition release begins with a standard triple-white Air Force 1. 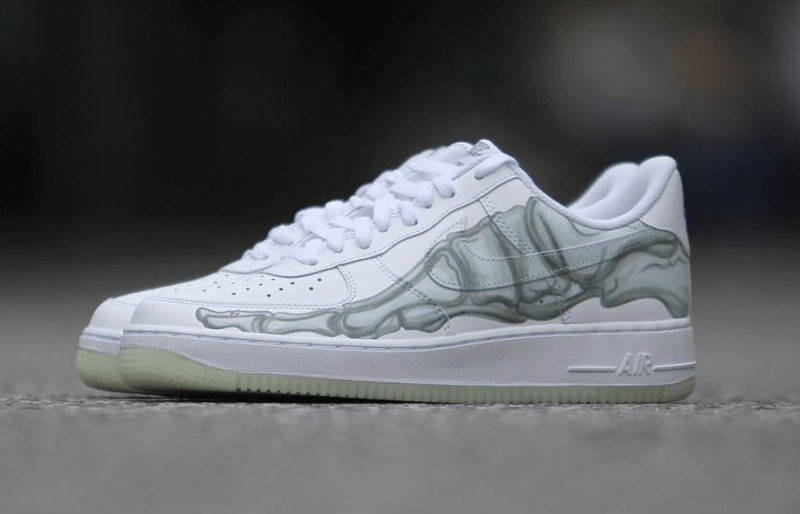 Then, an anatomically correct image of the bones inside human feet is placed over the lateral side of the shoe, showing what an x-ray of someone wearing an AF1 would look like. Currently, very little is known about the new Skeleton Air Force 1, though it is expected to drop in October 2018. This preliminary date comes as no surprise given the relation to Halloween. 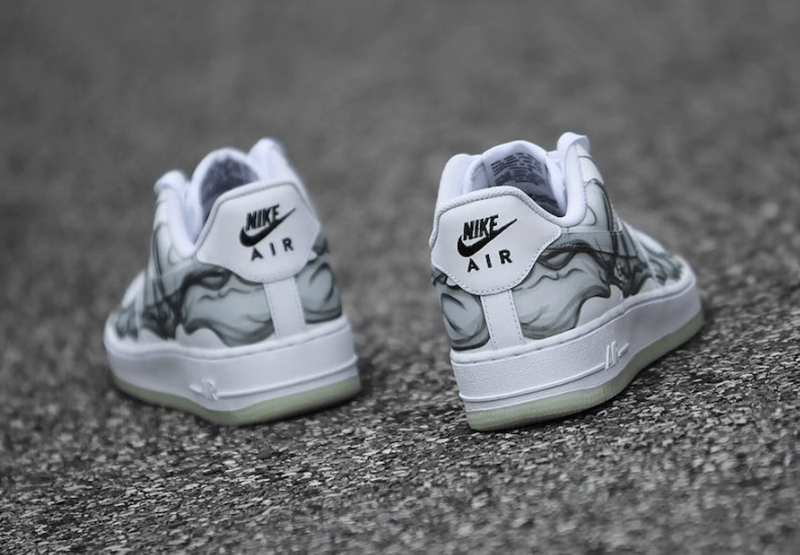 The Nike Air Force 1 QS “Skeleton” is now scheduled to release on Halloween, October 31st, 2018. Currently, very little is known about the shoe other than a few early photos. 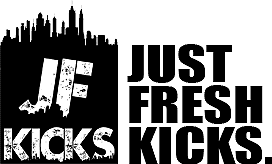 Check out the early image below for a closer look, and stay tuned to JustFreshKicks for more Nike Air news.